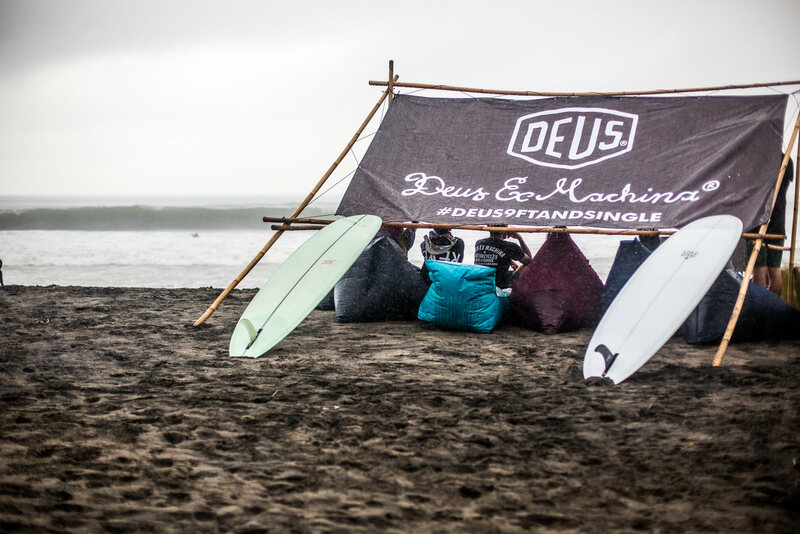 Day three of the Deus Nine Foot & Single kicked off with rain showers, but what a ripper; lines to the horizon, solid swell and glass-clean faces filling the lineup. 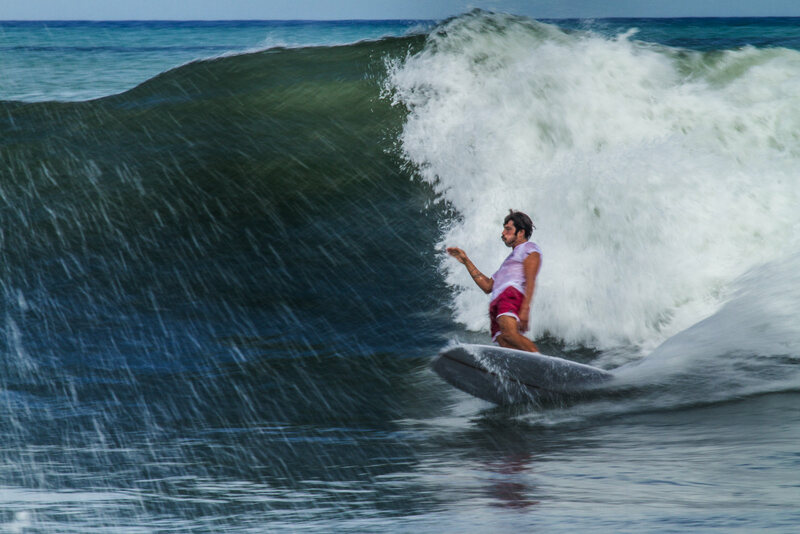 The signature event launched in epic style – every heat a scorcher and surfers going all out to make the grade. 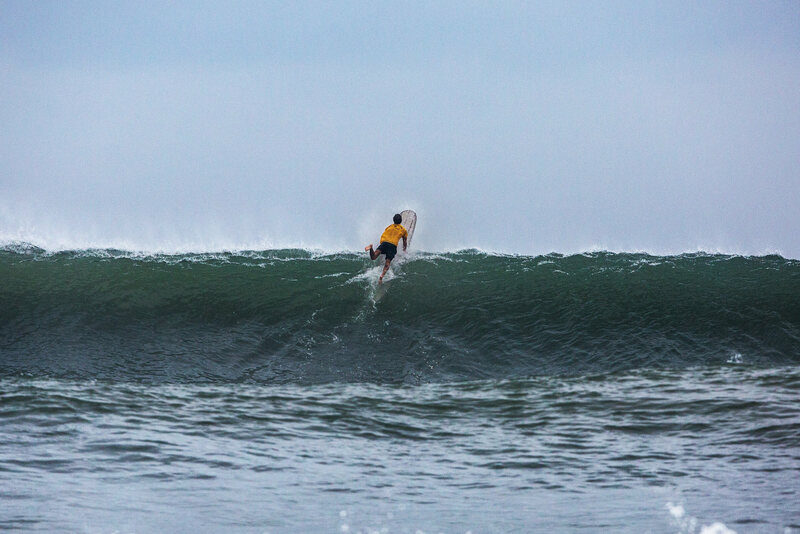 The lower tide was rolling more than peaking, making for noserides and cutbacks more than barrels and lip-hits, but it was no less impressive. 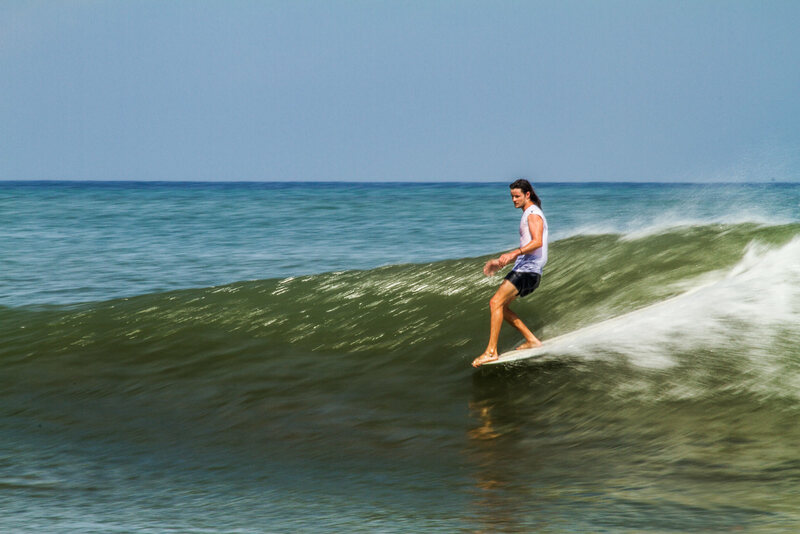 Long drops and fade take-offs set up for rollers to the beach, but a pitched wall on the inside got the adrenalin pumping. 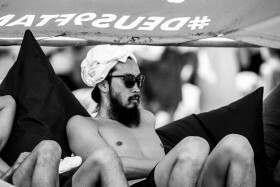 As the crowd jostled for shelter from the passing black clouds, Yuta Sezutsu was receiving massive ups from his Japanese cheer squad, with the whole beach joining in the cheers at one of the day’s finest barrels. 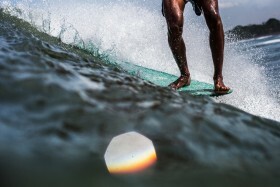 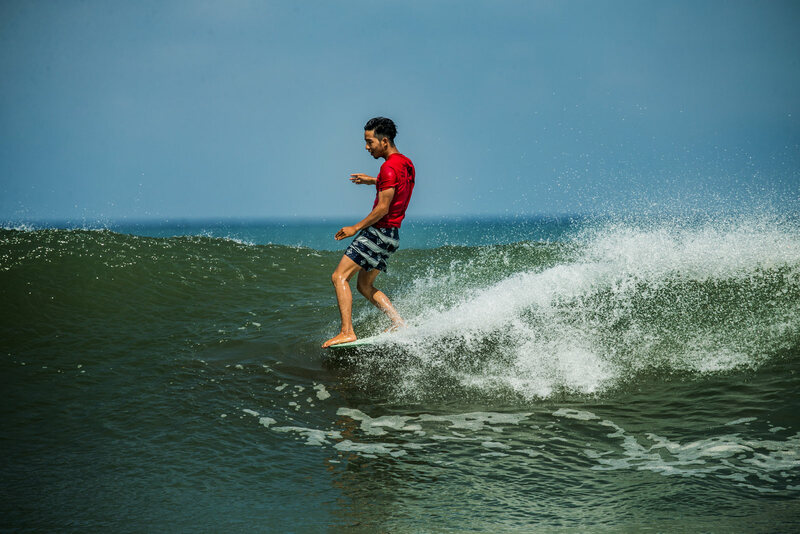 This young surfer has such a fluid style and confidence that he seemed to toy with the six-foot faces, his huge smile never wavering and his nerve never rattled even in the most grinding shore breaks. 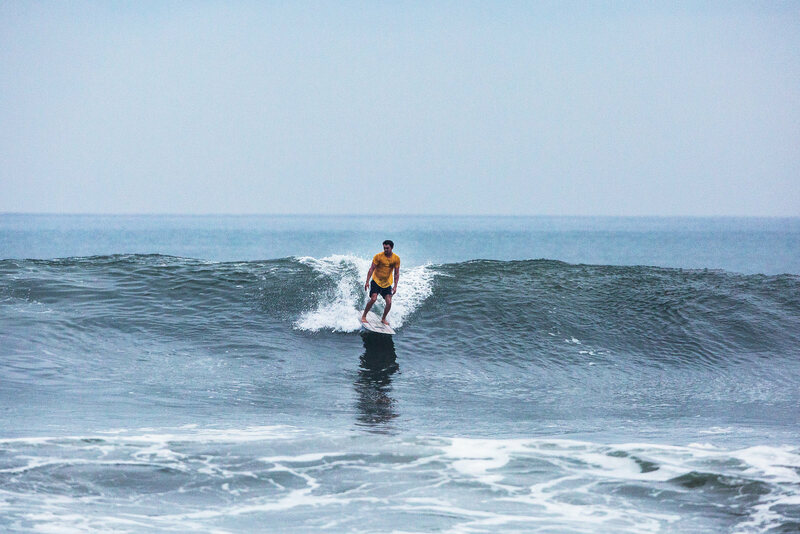 Jared Mell was once again dynamite in and out of the water, hilarity on the microphone and killing it in the surf, with and without his boardshorts on. The man simply doesn’t shut up, with his mouth or with his surfing, and he provided non-stop entertainment. 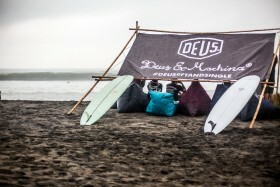 As the sun broke free and the day warmed up, so too did the action, the Deus Nine Foot & Single running its complete course throughout the morning and into the afternoon. 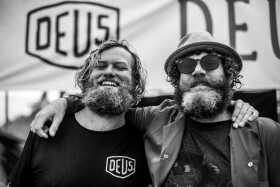 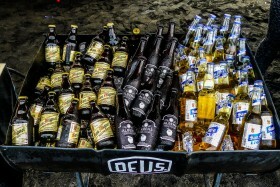 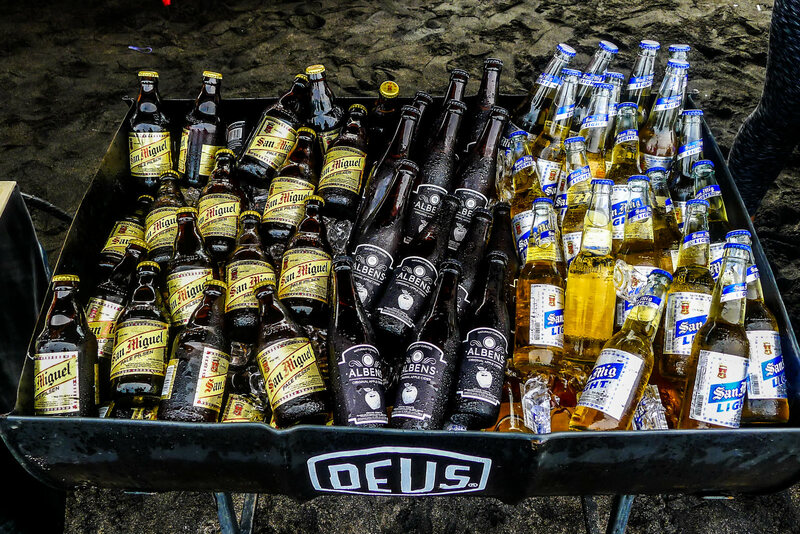 Ice cold San Miguels revitalised parched lips and the Deus Bar & Grill kept stomachs filled. 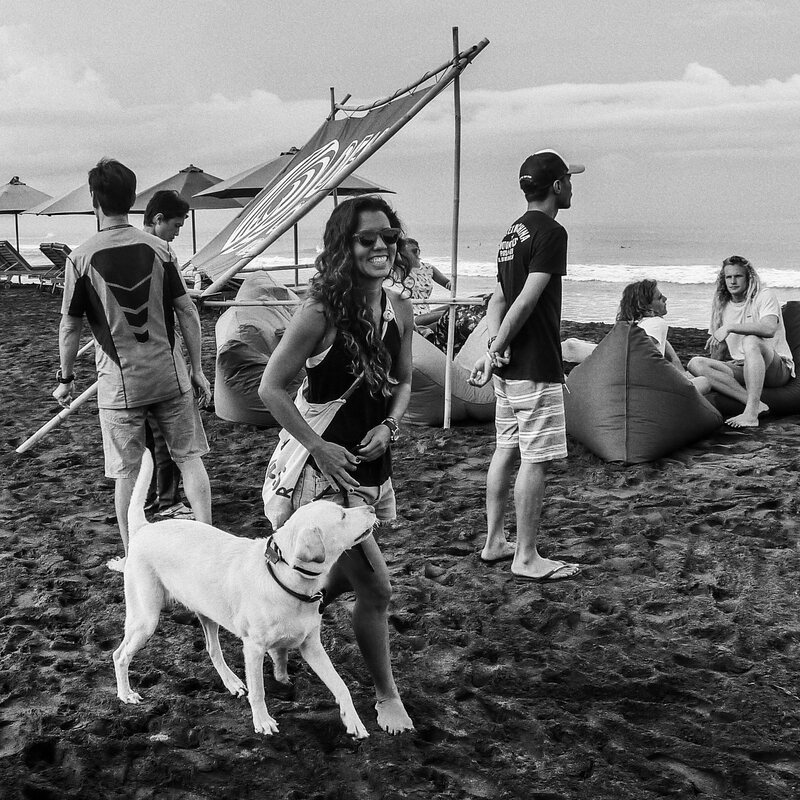 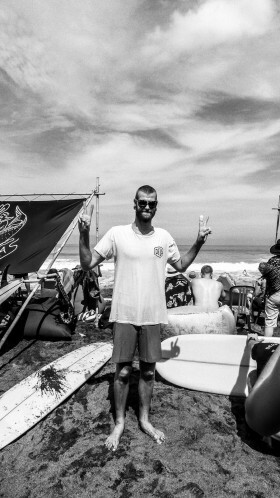 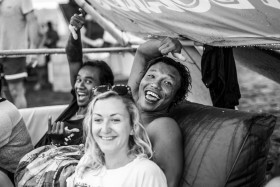 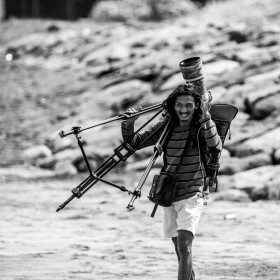 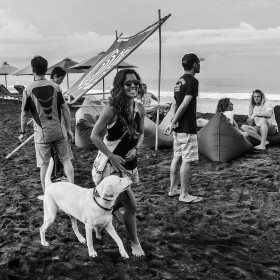 All smiles, hoots and hollers, onlookers enjoyed the vibes on the sand as much as the action in the water. 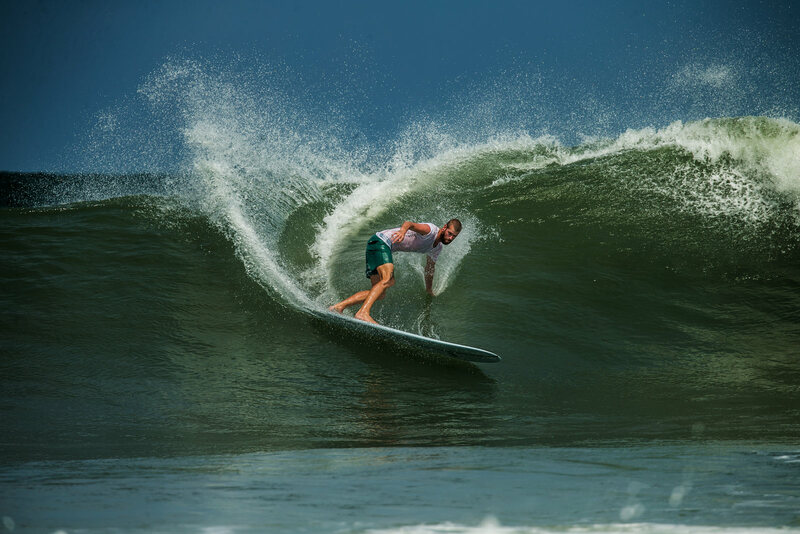 Matt Cuddihy raised the bar, finding rare shade as the tide rolled in, two clean barrels off a single wave giving him a massive score. 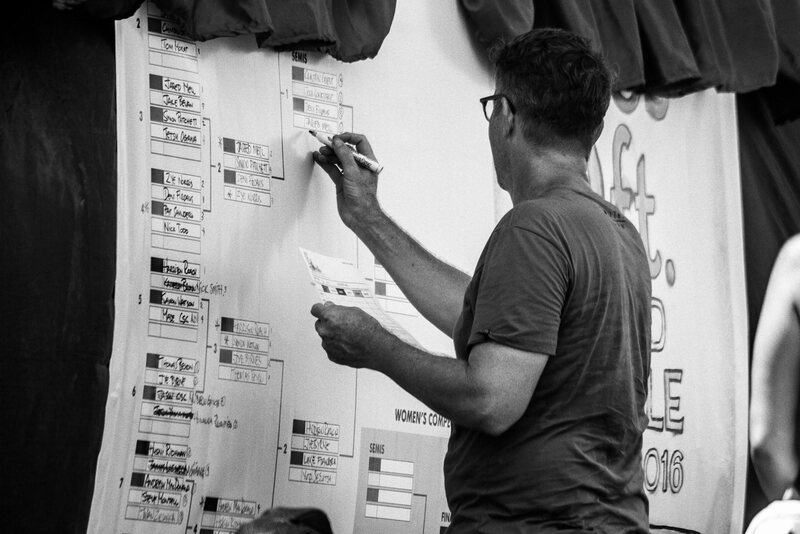 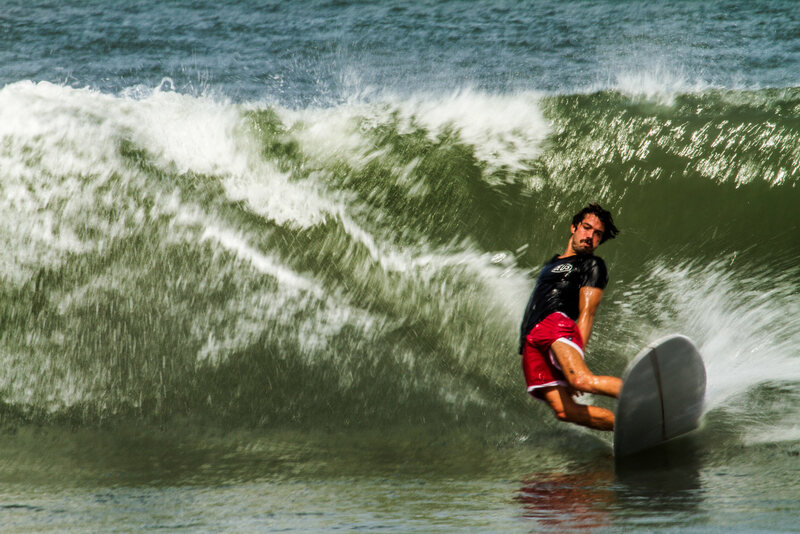 Unlike other contests, the Nine Foot encourages inspiration and innovation, rather than the conventions of the average competition, and the boys didn’t disappoint. 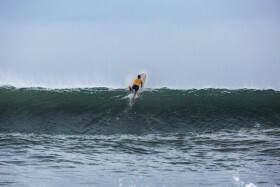 The swell jacked and with it the bar went up as the contest field dwindled. Familiar names filled the slots and it was great to see Batu Karas surfers Husni Ridhwan and Deni Firdaus right up there amongst them. 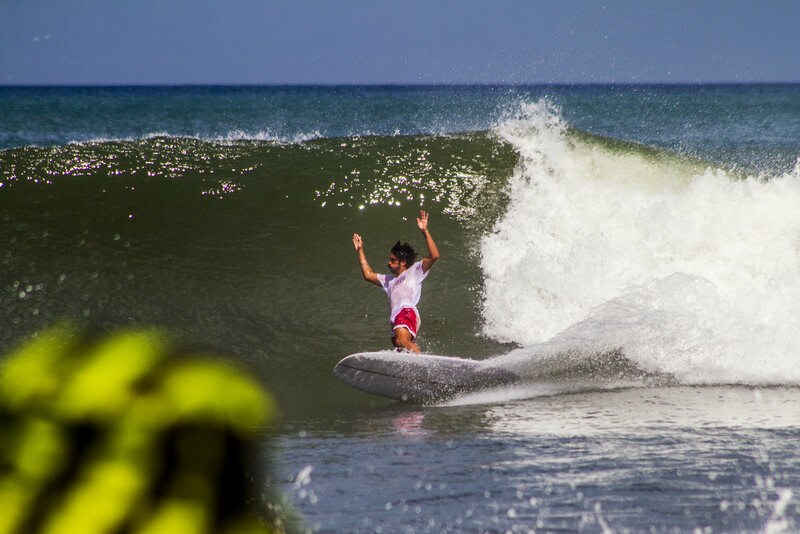 Young Deni blew up, with critical noserides all the way through, before dropping under the lip and finishing big to the spectators’ appreciation. 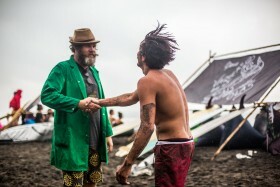 Maybe not this year Deni, but you’ll be beating the best before too long. 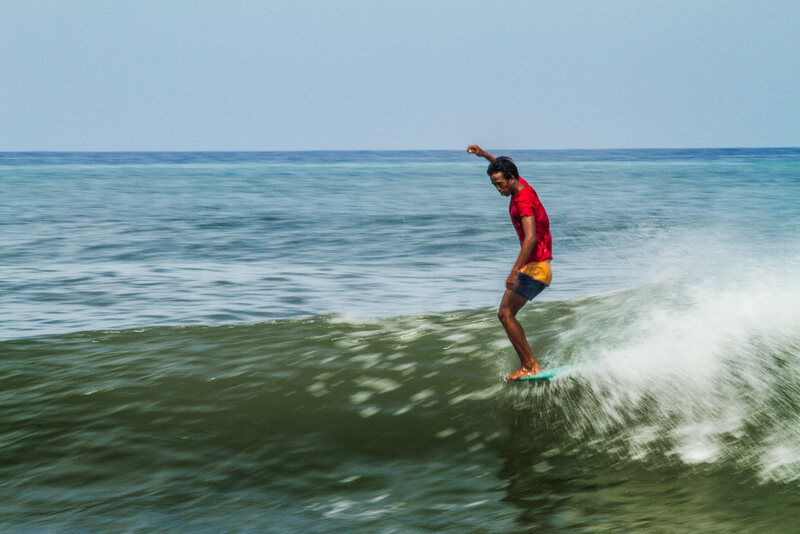 This was traditional longboarding at its finest and, as if we hadn’t seen enough already, the four-man final went up yet another level. 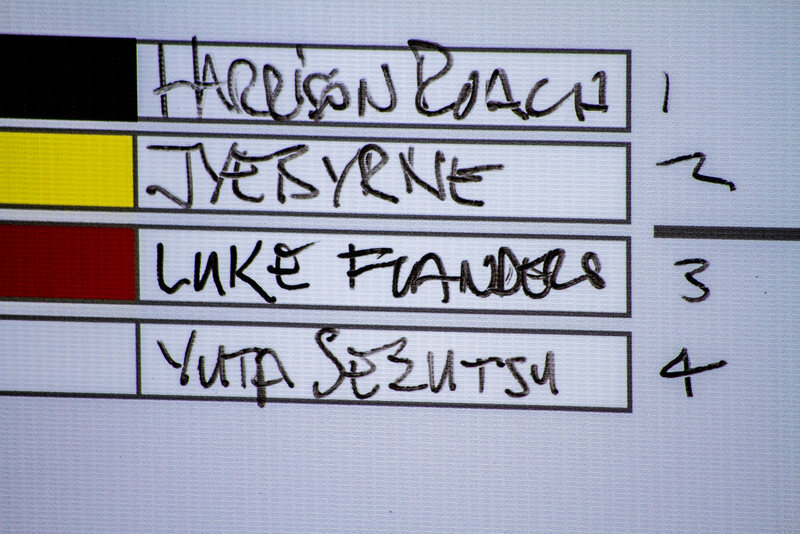 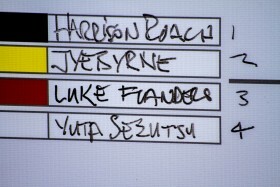 Jared fought off his hangover to hold on, the single non-Australian to make the grade, alongside Jye Byrnes, Josh Constable and defending champion, Harrison Roach – four notably different styles head-to-head in a massive showdown. 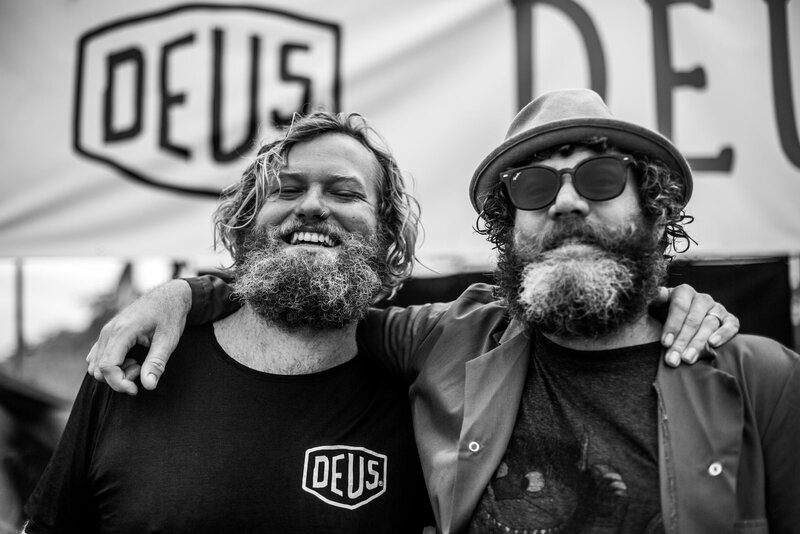 Results will be announced at tomorrow night’s Deus Temple after-party, but there’s plenty more action until then. 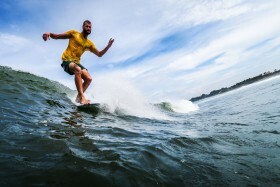 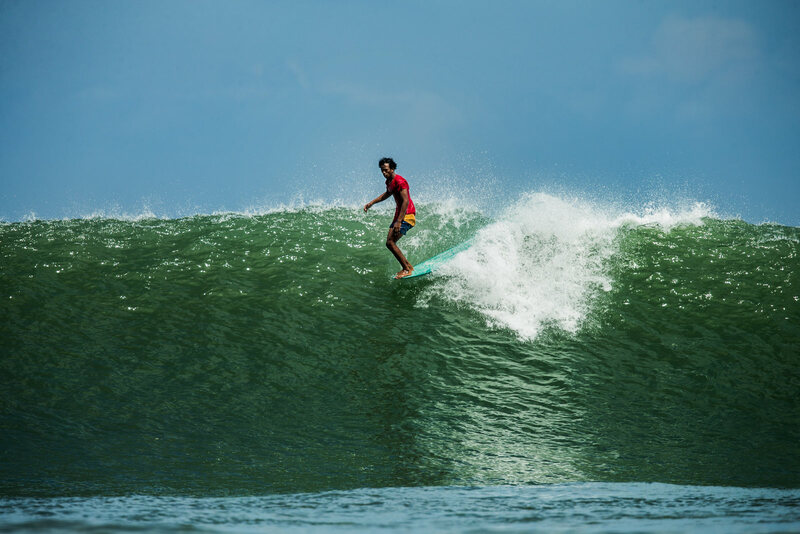 The Indonesian premiere of Dustin Humphrey’s latest creation ‘South to Sian’ screens this evening, with the Under Nine Foot & Single and Ladies’ Log Fest being the waterborne entertainment from 7am tomorrow.